Hello, everyone! Yes, I know it’s been a while since you’ve heard from me–so much is going on–but I wanted to take a quick moment to let you know that I am now writing for an online magazine called ALL WOMEN’S TALK, and my first article was just recently published!!! Please click here to read it. I would also greatly appreciate it if you will share it with all of your family, friends and loved ones! Until next time, take care! And as always, this is from my heart to yours ! Categories: marriage | Tags: All Women's Talk, courting, courtship, love, marriage, Maxine Billings, online magazine, relationship clues, relationships | Permalink. Hello, wearable art lovers! WOW, am I excited!!! VIDA and I have completed my curated VIDA collection! What this means is that since I have moved up from Slate status to Steel, I had the awesome privilege and pleasure of selecting one item from my collection to collaborate with them on to showcase a beautiful, lifestyle photography model wearing it. My inspiration for this piece was a big, beautiful, crystal clear, floating candle holder centerpiece at my brother and his wife’s wedding reception last year. You can view the full picture I took of it by clicking on the arrows (< or >) beside the wrap. Again, thank you all so much from the depths of my heart–from my heart ❤ to yours ❤ ! Categories: VIDA | Tags: accessories, apparel, art, candle holder, centerpiece, curated, curated collection, design, everlasting love, fashion design, inspiration, lifestyle photography, love, marriage, Maxine Billings, model, natural beauty, nature art, nature lovers, nature photography, nature photos, Nature's Finest by Maxine Billings, photography, reception, romance, sheer wrap, shop VIDA, VIDA, wearable art, wedding | Permalink. 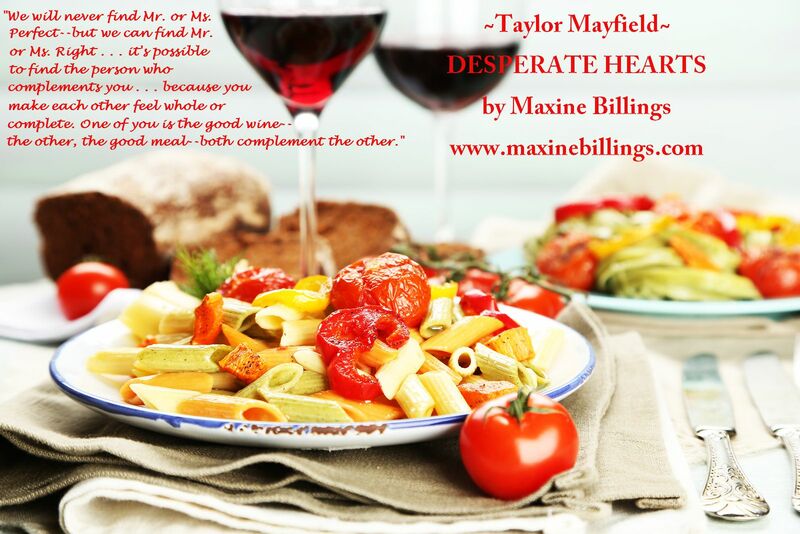 Categories: Uncategorized | Tags: books, complements, DESPERATE HEARTS, fiction inspiration, fictional character Taylor Mayfield, good meal, good wine, marriage, Maxine Billings, relationships, wholesome reading | Permalink. 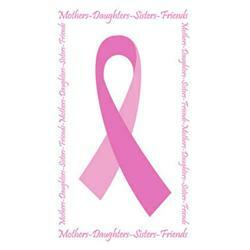 As most of you probably know, October is Breast Cancer Awareness Month. In an effort to help promote awareness to the cause, I will be sponsoring an additional contest upon the release of my newest novel, DESPERATE HEARTS, which I am still hoping to release sometime during the month of October of this year. 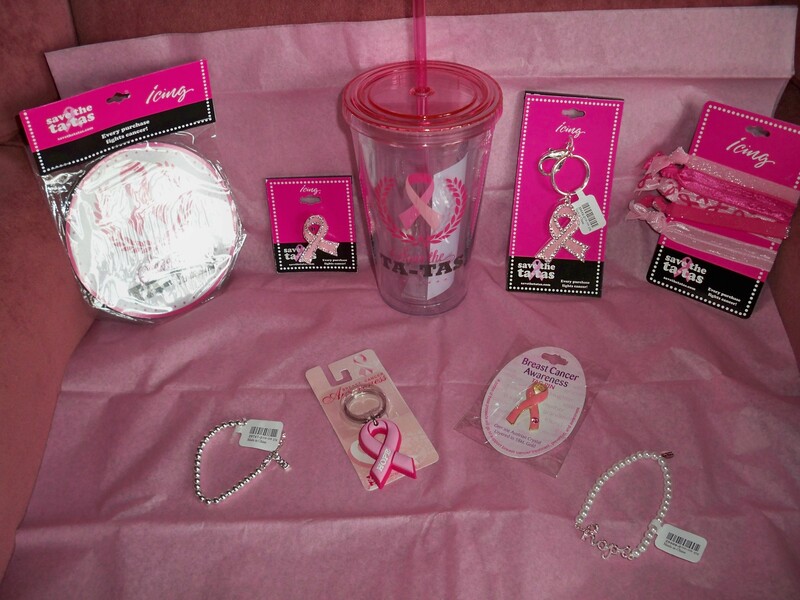 The winner of this new contest will receive several items promoting breast cancer awareness. 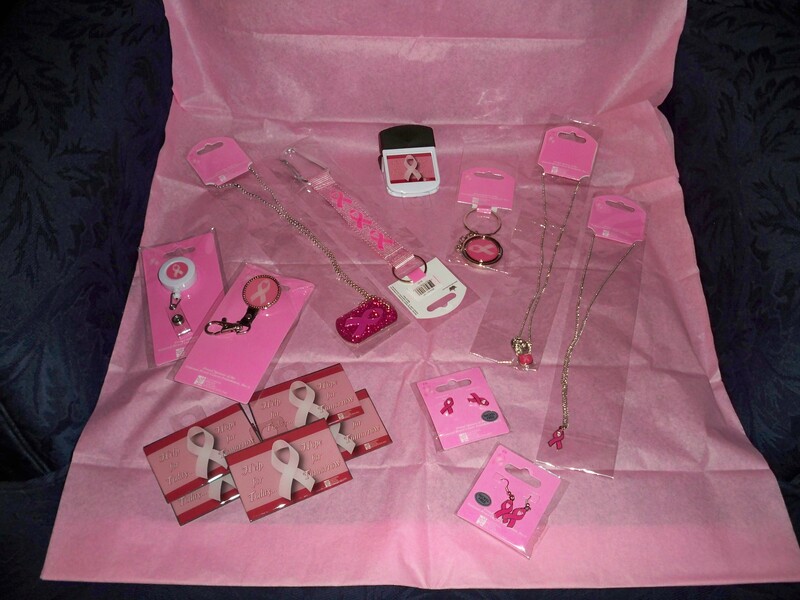 Below are a couple of pictures of some of the prizes I will be giving away. Any items left over will be given away at my DESPERATE HEARTS SIP & SIGN book signing event which will be held at KEIGHLEY’S SALON, DAY SPA & BOUTIQUE. Although my number one goal is to write wholesome stories for your reading entertainment, I still try to focus on real-life issues. Therefore, some of the subjects that my books cover include: forgiveness, illness, death, marriage, separation, divorce, alcoholism, infidelity, trust, stepfamilies, and materialism. LIFE AFTER MOMMA is 15-year-old Kiara Murdock’s story of how she deals with the death of her beloved mother to breast cancer. So many people have been affected by this terrible disease. If you, a family member, or a close friend have, what has helped you to cope? And what are some ways that you have been able to be a source of support and encouragement to the individual(s), their family, and others? Please feel free to share your experiences–you never know how they might touch another person’s life and give them hope to endure. Well, good night, and HAPPY READING! As always, this is from my heart to yours. Categories: Uncategorized | Tags: alcoholism, book contests, book signing, breast cancer, death, DESPERATE HEARTS, divorce, fiction inspiration, forgiveness, illness, infidelity, Keighley's Salon Day Spa & Boutique, LIFE AFTER MOMMA, marriage, materialism, Maxine Billings, prizes, separation, SIP & SIGN, stepfamilies, trust, wholesome reading | Permalink. As most of you probably know, I love writing stories about relationships. I also enjoy not only adding touches of humor to them, but I like to add a little romance as well. God created humans with the capacity to express love. However, in our imperfect human society, love is disintegrating. 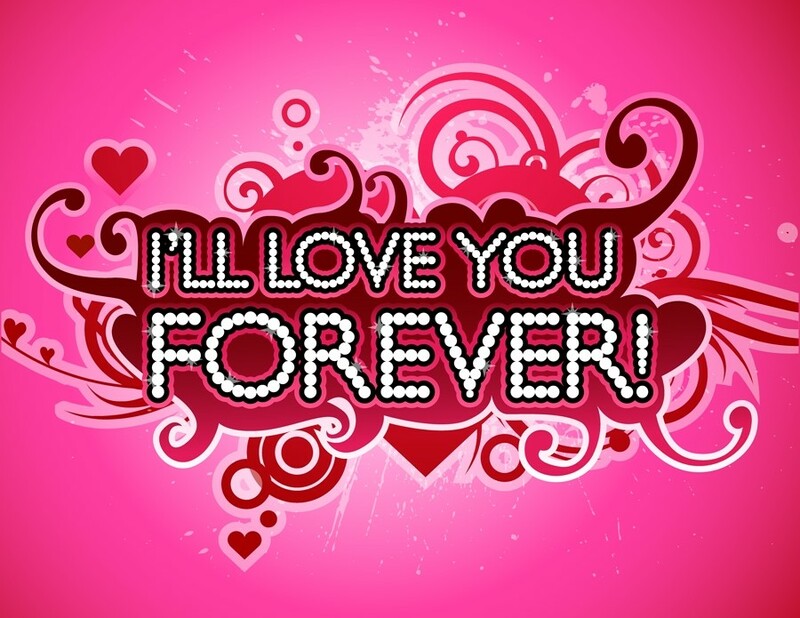 Therefore, some may wonder, Is it gullible or naïve to think that enduring, mutual love can last forever? True love between a man and a woman can be exceedingly strong, firm, and unyielding. The Bible well demonstrates this in The Song of Solomon 1:1-14 and 8:14 where it tells of the unwavering love that existed between a shepherd boy and a country girl. This song also reveals that despite all his splendor and riches, the king could not gain the love of that beautiful girl, for she was saving her heart and her love for her one and only true love. She thus showed that genuine love cannot be bought with material things. God purposed that love and marriage bring joy to humans, yet that does not mean that we will not experience adversities in association with the two. But as long as we do things His way, our problems will be fewer. Well, good night, and HAPPY READING. And as always, this is from my heart to yours. Categories: Uncategorized | Tags: DESPERATE HEARTS, family reading, fiction inspiration, heart, joy, love, marriage, Maxine Billings, ONE OF A KIND, reading, relationships, romance, sequel, shepherd boy, Shulammite girl, Song of Solomon, wholesome reading | Permalink. Today, I read an article, What type of “lovebird” are you?, in the February 17, 2014 issue of First for women magazine that I found to be extremely interesting. And since I love writing stories about relationships, I decided to write this blog. 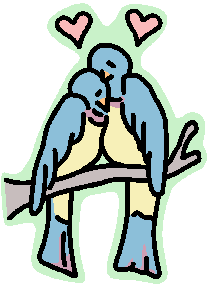 The article was based on the book, Lovebirds, by couples therapist and avid bird-watcher Trevor Silvester who explains some ways that humans show love by comparing them with how birds interact with their mates. The article included a six-question, multiple-choice quiz for readers to see what makes their own hearts soar. Answers revealed if you are a nightingale, an owl, a peacock, or a swan. I’m a swan. The article pointed out that this bird is happiest when it is amicably swimming for hours next to its mate (which it has for life!). Some traits of a person who falls under this category are: (1) he/she is a conveyor of affection by going out of the way to show emotional support and make others feel comfortable, (2) great harmony is found in simply spending one-on-one time with his/her loved one in a relaxed setting, and (3) he/she doesn’t need their partner to do anything extravagant to prove their love–they just need to be there for them. In every relationship, there is going to be friction because no matter how compatible two people are, they are both still two imperfect human beings who will sometimes rub each other the wrong way. (Romans 3:23) Therefore, none of us can truthfully say that we have never in word or deed hurt someone we dearly love. Oftentimes, getting too wrapped up in our own emotions can cause us to overlook how the other person may be feeling. Communication is key in any relationship; however, there is a right way and a right time in which to carry it out. For example, it needs to be done respectfully and not when we are angry. Otherwise, it will only add more fuel to the fire. This is what happens with Estelle and Roger in THE BREAKING POINT. Categories: Uncategorized | Tags: affection, bird-watcher, birds, books, communication, compatibility, couples therapist, emotional support, feelings, fiction inspiration, First for women magazine, friction, harmony, heart, imperfections, love, lovebirds, marriage, Maxine Billings, nightingale, owl, partners, peacock, reading, relationship quiz, relationships, swan, THE BREAKING POINT, Trevor Silvester, wholesome reading | Permalink.